Legislation to restrict firearms sales to persons on the federal government’s “no-fly” list failed to pass a vote in the Senate, following the deadly terrorist attack in San Bernardino, California. Media reports in the wake of the shootings indicated that persons on the terrorist watch list had successfully purchased firearms more than 2,000 times. Proposed by Democrats, Rubio said the legislation would harm Second Amendment rights of ordinary Americans. The bill would have allowed the Attorney General to forbid "known or suspected dangerous terrorists" from obtaining firearms or explosives. Under current laws, thousands of people on the FBI’s terrorist watch list have purchased weapons legally. Speaking on CNN on December 6, Rubio it is wrong to deny the right to firearms to persons on the list who are not terrorists. "If these were perfect lists, that would be one thing," he said. "But there are over 700,000 Americans on some watch list or another that would all be captured under this amendment the Democrats offered. And that's the problem." The FBI’s Terrorist Screening Center maintains the Terrorist Screening Database as a consolidated collection of information about persons known to be or reasonably suspected to have some level of involvement in terrorist activities. The no-fly list is a subset of the terrorist watch list. It is this list that the Attorney General would use to decide whether someone would use a firearm for terrorism, under the Democrats’ bill. A 2011 FBI fact-sheet estimated the number on that list to be 420,000. Approximately 8,400 were American citizens or legal residents. The no-fly list subset included about 16,000 names, only 500 of whom were Americans. Current estimates of the number of people on the list -- foreign and American combined -- now hover around 700,000, the number Rubio cited. The number of American citizens on the list probably does not exceed 10,000, said former FBI Terrorist Screening Center chief Martin Reardon, according to PolitiFact. Innocent people have been wrongly included on the terrorist watch list or the no-fly list. This can come from misidentification, as was the case with the late Senator Ted Kennedy (D-Mass) who was once barred from flying because his name was similar to an alias used by a suspected terrorist. In advance of 9/11, the no-fly list consisted of the names of but 16 people. The number has since grown to more than 47,000, of which most were added during the Obama administration. Another list is even more extensive: a watch list kept by the Terrorist Screening Center has anywhere from 700,000 to 1.5 million names of foreigners and American citizens. Of these, 280,000 have no known terrorist affiliation. Adding credence to Rubio’s caution over banning gun sales to those on the no-fly list are instances of maladministration by the federal government. For instance, Stanford University doctoral candidate Rahinah Ibrahim was prohibited re-entry to the U.S. following a visit to her home in Malaysia. In December 2004, FBI agents came to Ibrahim’s apartment on campus. When the wheelchair-bound student asked the reason for the visit, they told her that officials at Immigration had requested it. After asking about her upcoming trip to Malaysia, the agents asked what Ibrahim knew about a terrorist organization – Jemaah Islamiyah – that is linked to Al-Qaeda. She told them that she knew of the group only through headlines. The agents asked about her graduate thesis, religious practices and family for about one hour. When Ibrahim asked why Immigration had asked them to question her, they said they did not know. 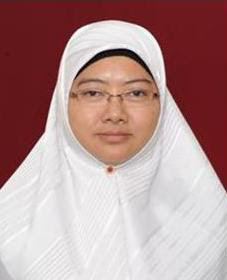 Less than two weeks later, Ibrahim was arrested, cuffed and interrogated before receiving clearance for her flight to Malaysia in January 2005. When she attempted to return to California from Malaysia, Ibrahim discovered that her visa had been revoked because of her alleged ties to terrorism. Both she, and her U.S.-citizen daughter, were barred from returning to California. For years, Ibrahim sought to find out the reasons for the visa revocation, only to be stonewalled by the federal government. She filed a lawsuit against the Department of Homeland Security. DHS contended that as a Malaysian citizen, she had no standing in U.S. courts. Obama administration officials denied admitting the error. Attorney General Eric Holder, Director of National Intelligence James Clapper, and other officials claimed repeatedly that disclosing the reason Ibrahim was detained, or even acknowledging that she was on a watch list, would damage to national security. The government repeatedly asserted “state secrets privilege” to block the 48-year-old Ibrahim’s suit, which had sought only to clear her name. In signed declaration to U.S. District Judge William Alsup of San Francisco, Holder that this assertion of the state secrets privilege was in keeping with Obama’s 2009 executive branch reforms of the privilege, which stated the Obama administration would invoke state secrets sparingly. “Under this policy, the Department of Justice will defend an assertion of the state secrets privilege in litigation, and seek dismissal of a claim on that basis, only when necessary to protect against the risk of significant harm to national security,” read Holder’s declaration. Eventually, it was revealed that FBI agent Kevin Kelley had accidentally “checked the wrong boxes, filling out the form exactly the opposite way from the instructions on the form,” according to a finding by a federal judge, and thus erroneously placed Ibrahim on the no-fly list. After seven years of court appearances and litigation, and $3.8 million in attorney fees. Attorney Elizabeth Pipkin, who represented Ibrahim pro bono, said the Obama administration should be embarrassed. Pipkin said that state secret privileges should protect national security rather than covering up government mistakes. “Praise to God for this win,” Ibrahim, who is in Malaysia, said in a statement provided by her lawyers. - “My assertion of the state secret and statutory privileges in this case precludes defendant or any other agency from making any response, including through document production or deposition testimony, that would serve to disclose classified information regarding plaintiff or any other individual; the sources, methods, and means by which classified information is collected; and information which would confirm or deny whether information regarding plaintiff or any other individual is in NCTC’s TIDE database.” — James Clapper, director of national intelligence, April 23, 2013. - “Second, I agree with the FBI that disclosure that an individual is not a subject of an FBI counterterrorism investigation could likewise reasonably be expected to cause significant harm to national security. As the declaration explains, if the fact that some persons are not subject to investigation is disclosed, while the status of others is left unconfirmed, the disclosure would reveal that the FBI has had an investigative interest as to those other particular persons. Allowing such disclosures would enable individuals and terrorist groups alike to manipulate the system to discover whether they or their members are subject to investigation. 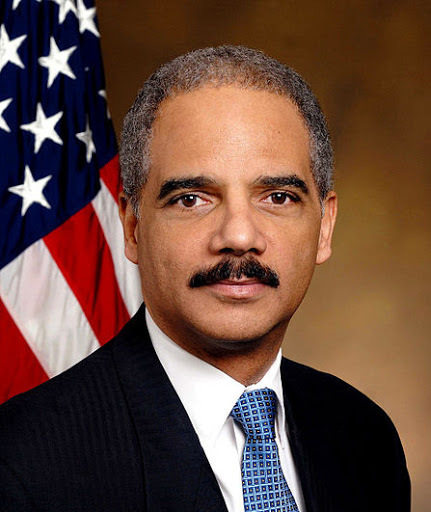 Further, individuals who desire to commit terrorist acts could be motivated to do so upon discovering that they are not being monitored.” — Eric Holder, attorney general, April 23, 2013. - “Public disclosure of the identity of individuals on the No Fly List or Selectee List would compromise the safety and security of passengers by providing terrorists with information that may reveal which of their members have been compromised, and which of their members may board an aircraft without any form of enhanced security. For these reasons, TSA’s regulations expressly prohibit the disclosure of the contents of Security Directives and Emergency Amendment…” — Joseph C. Salvator, Transportation Security Administration then-deputy assistant administrator for intelligence, May 22, 2006.